Getting money off always makes people happy, and it's even better when it comes off the clothes you love. Armor Lux not only give you some of the best French fashion around, but it also stays up to date with trends, colours and patterns. Armor Lux describe its brand as ‘marine clothing inspired by French Maritime traditions and the values conveyed by the sea’, and we're big fans. So if you're after some Armor Lux discount codes or Armor Lux voucher codes come and take a look at what we've got below. This French fashion brand has made its name in fashion through the originality of its clothing. Armor Lux display a flair of simplistic style that always seems to relate back to the sea. Yes, it may sound strange, but when you see the fishermen-inspired designs you'll completely understand what we mean. So, whether they're navy, white or striped (which most of its products are) you're bound to look like you're ready to walk sea side. Armor Lux has a long-standing history of traditionalist style, with the Breton stripe synonymous with France and heavily featured within all of their core products. 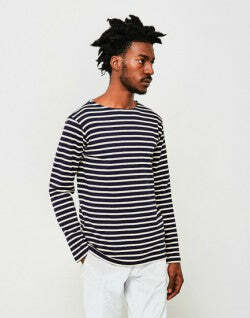 T-shirts, jumpers and long sleeved tee's all combine some sort of French heritage. This may not be your go-to household name, but once you see what it has on offer, you won't be holding back. And what's better, you can get yourself some Armor Lux discount coupons so you can bag yourself a bargain. If you want to keep up-to-date with all of our future sales then why not sign up to our newsletter? You’ll receive the latest editorial stories and news of sales, plus 10% off of your first order from The Idle Man. As well as all that, if you spend more than £5o on our website you’ll automatically receive free shipping. So if you're planning on spending big on some Armor Lux then here's what to do. If you’ve got friends who’re a fan of the street style look, then you might want to check out our Refer a Friend scheme. 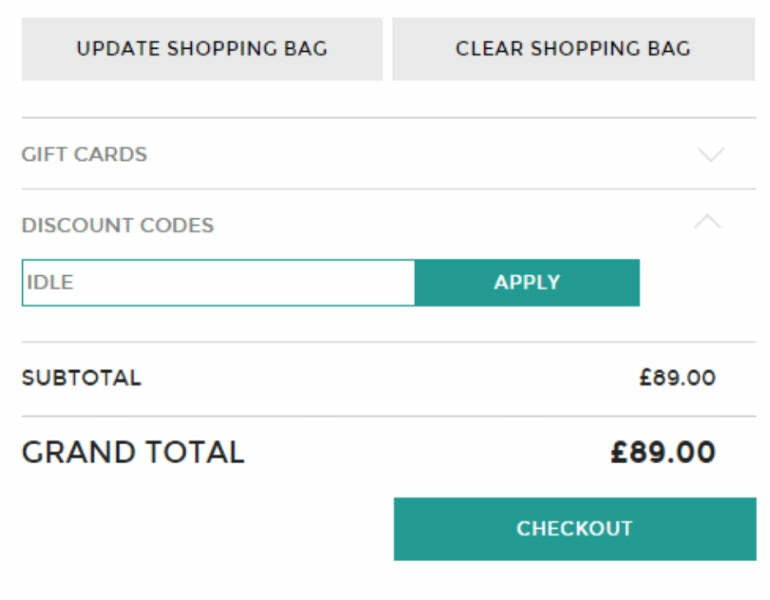 All you need to do is share your discount code on social media, or invite your friends via email, and we’ll send them £5 worth of credit. If they like what they see in store and spend more than £30 in their first shop then you’ll get £5 worth of credit sent to you as well. Still studying? Well, regardless of your grades we’ll provide you with a nice 10% off with our Student Discount page. All you need is a valid NUS or student card and it’s instant money off. On top of that, if you wait for one of our special double discount days you can get up to 20% off. If you're not yet persuaded to buy, then we have just the thing that may change your mind. The history of Armor Lux gives you all the French vibes you need. Established by Swiss Walter Hubacher in 1938, this brand was primarily created to produce and create high quality underwear. In this case, Amor Lux was known as The Bonneterie d'Armor which loosely translates to Hosiery of Armour. But since this, the 80 years of running has changed the brand completely. Its first factory opened in the North West region of France in a small town called Qulmper. To many, the marine inspired clothing is believed to be due to the fact that the factory was located at the start of the Odet River, with the mouth of the Odet leading out to the Atlantic Ocean. Hence the ocean colours, patterns and styles. The Breton stripe is synonymous with both France and Armor Lux as a brand with their T-shirts nearly always including a horizontal stripe design. Armor Lux has produced its heritage collection to showcase a more classic style. Long sleeve T-shirts in a complete range of colours have made a strong impact, becoming the perfect choice for spring and summer. 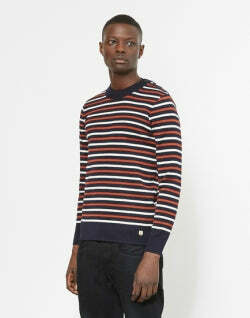 Its stripes have also been incorporated onto its jumpers, too. 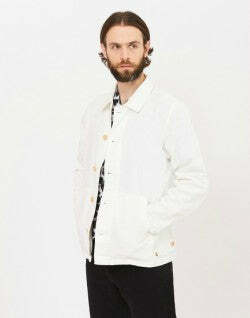 Lightweight material makes them perfect for layering with a jackets suitable for autumn & winter. If this sounds like a bit of you then you definitely need to get your hands on some Armor Lux discount vouchers.